Freshly renovated freestanding house on a convenient location! This house has just been renovated and has a brand new kitchen (including dishwasher) and bathroom. It's just 2 minutes walk from busses on Parramatta Road but still on a nice and quiet street. It has 3 queen size bedrooms with build in wardrobes and a 4th double size bedroom. It's very spacious with high ceilings and central hallway running from the from door all the way to the kitchen area. The back yard is enormous so plenty of space for some outdoors entertaining during sunny days :) The 4th room is used as a spare room only, used for the occasional friend to crash. It's just the 3 of us living in the house full time. The room: Located on the middle floor and sharing a bathroom with one other person. It also has built-in wardrobes and AC in the room. You'll be sharing the house with just 2 other people. The house: Fairly newly constructed (early 2000s). Is 3 storeys tall and the top floor has cathedral like ceilings with vistas of the city skyline. Because of its height, the top floor gets a lot of natural light and a cross breeze most days. There is some storage space on the ground floor in the garage as well. There is a small number of parking spots further up the street. Bills are not included and will be split equally amongst the housemates. We also have a cleaner (which helps to keep the peace)! The neighbourhood: Mostly family and working professionals. The 470 bus stop is about 3-4 minutes walk away on Booth Street. Jubilee Park lightrail is under 15mins stroll away and is right next to the Tramsheds. Closest supermarket is an IGA and is about 5 minutes walk. The neighbourhood is fairly quiet during the weekdays and Booth street is buzzing on the weekends. 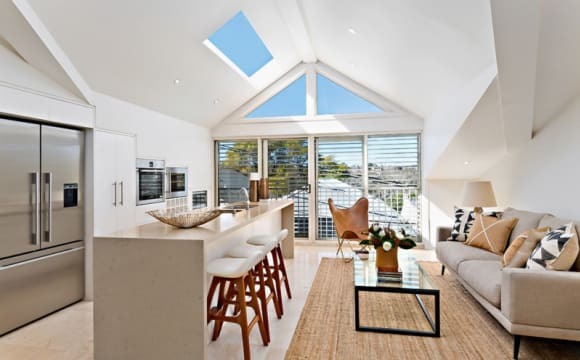 The room is well lit and includes a bed, desk and cupboard, with a window overlooking the backyard. 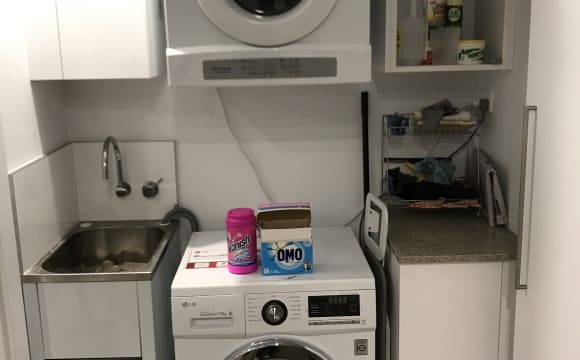 The house itself has a large kitchen/living room, and also includes a washing machine, two bathrooms including two showers and a bath, and a BBQ in the backyard. The house is well situated, very close to Annandale high street with frequent buses to central, and the Tramsheds and Jubilee park just 5 minutes away. It is a short walk to USyd and Newtown. 1 big room available in a spacious 3 bedroom house with a big outdoor area. 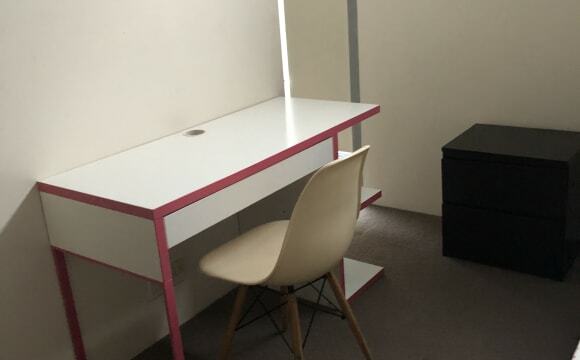 Room is furnished with a desk, bed and mattress and wardrobe. 1 Bathroom with an additional toilet in the garden. 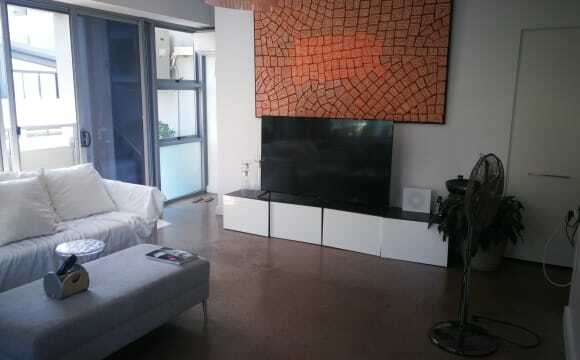 The house is located in Annandale, very central near all public transports and CBD. 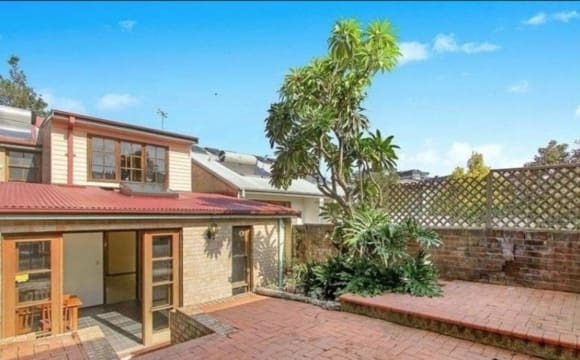 Close to bus routes to the city but located in a quiet leafy street. The house is a traditional one storey brick house with a nice porch front and cosy big backyard. Air conditioned. Glass partition between kitchen area and backyard so plenty of natural light. We are very mindful of interiors and design works so would like to maintain that throughout the whole house. 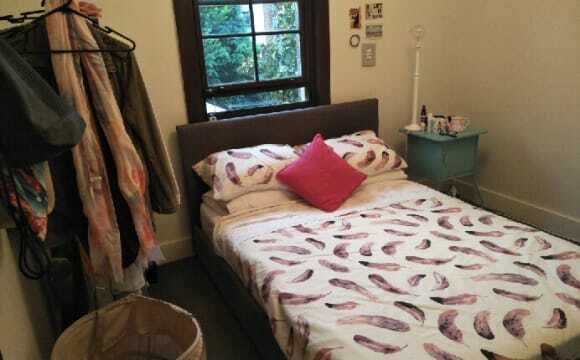 Looking for a flatmate to live with at a two bedroom unit in a small block of 4 in Annandale. Availble for one person. Available now!. 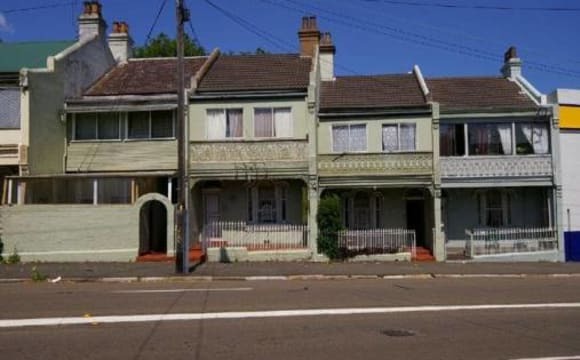 Its a convenient location just near Booth Street and Parramatta Road where there are many buses into the city. The cute village of Annandale with its cafes and an IGA is down the road. The place has a neat simple kitchen and bathroom, two bedrooms, a lounge room and a sunroom. It is in the first floor and there is a shared garden, laundry and clothes line. Parking is on the street. Very peaceful, quiet, tidy, clean and plenty of space. 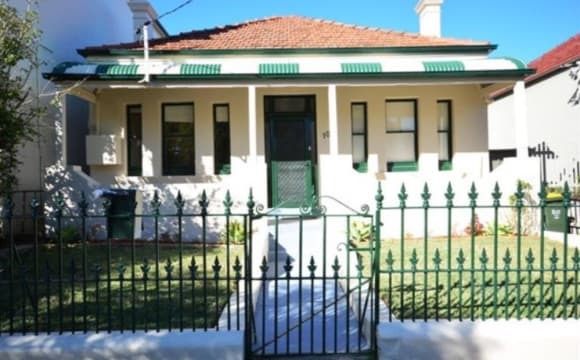 Close to shopping centres, supermarket, restaurants, hospitals, school, bus stop. Only 15 minutes to the city, and plenty of buses. Cleaners come and clean every week, so you don't have to clean the bathroom/toilets. Good and friendly housemates. Refurbished to the highest contemporary standard with wood style flooring, fully fitted kitchens and spacious reception rooms. The building offers excellent security, with 24 hour porterage, CCTV and video entryphone. Accommodation comprises 1 double bedroom, 1 single bedroom, 1 ensuite bathroom, bathroom, reception room, kitchen. Walk to Sydney University, no more traffic or public transport hassles! Friendly house with large outdoor entertaining area and BBQ. All bills, internet AND a cleaner included in the rates. Modern bathrooms and kitchen. Not a party house, very relaxed and friendly atmosphere and also has a free library of books. Rooms are fully furnished and bright. 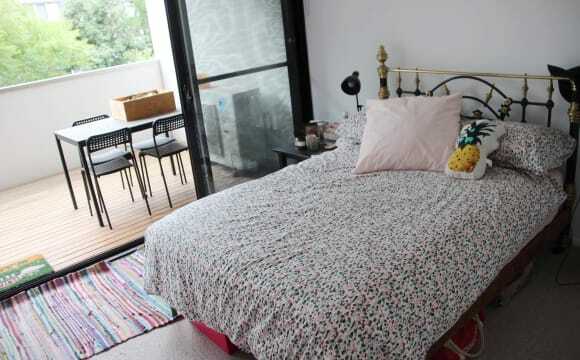 Ground floor 3 bedroom/3 bathroom Camperdown apartment located close to RPA, a short bus ride from the city and Central Station, and a five minute drive from Broadway Shopping Centre. Room features: - shared balcony - built in wardrobes - own bathroom Apartment features: - ducted air conditioning - double story with all bedrooms upstairs - large private courtyard - seperate communal BBQ area - security swipe access - Netflix and Stan Internet, electricity, and gas split evenly four ways. Three story 3 bedroom townhouse with 3 en-suite bathrooms. The middle floor is the kitchen and living area and the room to let with its own en-suite bathroom is on the ground floor. 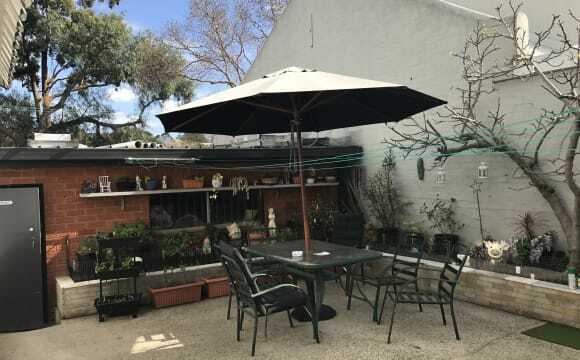 Located in Camperdown just off Parramatta rd with a bus stop within 100 m. Close to Sydney Univeristy and RPA Hospital. Available for single occupancy at $300 per week or for a couple at $350 per week with internet and all utilities included. Stunning spacious bedroom unit in Glebe/Forest Lodge area - located right next to the Tramsheds. Fantastic location, near-new apartment with all amenities. Perfect for a student or working single. 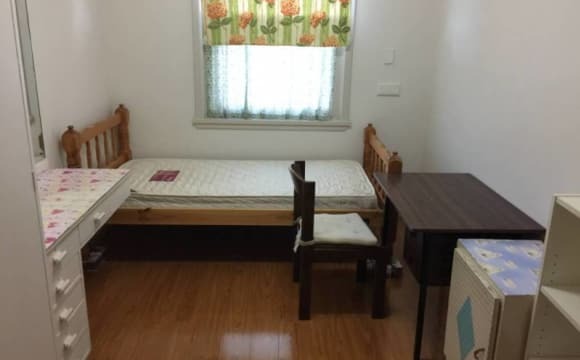 - Own room with built-in wardrobes and ducted air-conditioning - Own bathroom - Almost brand new apartment - Apartment fully furnished (available bedroom isn't) - Internal laundry - Bus stop out the front to the city - Large balcony with plenty of sun - Very quiet apartment with excellent soundproofing. - 5 mins walk to the Jubilee station light rail. 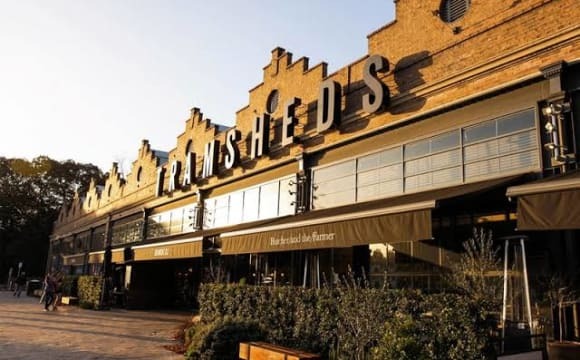 - Across from the new Tramsheds development with supermarket, doctor, pharmacy and heaps of restaurants and bars. - 5-7 minutes walk to Booth street and all the Annandale Shops - Walking distance to USYD, RPA, Glebe Point Road and the Glebe foreshore. 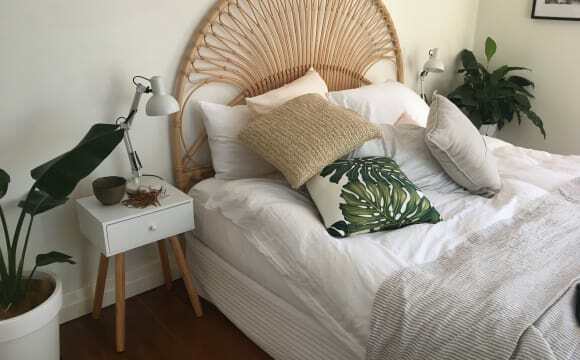 This boutique apartment is located at a very strategic place: buses are close-by, Cafe's and restaurants are a minute walk, Sydney university and RPA hospital and even Newtown is only 10 minutes walk. It has been fully renovated just recently and fully equipped with high end utilities. Bedrooms, toilet and kitchen are brand new and timber floor is installed in place. The apartment block includes high security features, air-conditioning, a bus stop right outside with a 15min drive from the city or a 20min bus ride. Great Cafe's and coffee shops within walking distance. Additionally, we provide Netflix and Stan to watch your favourite TV shows. Viewings of the room are only available on a Sunday. Thank you. The property is a two level townhouse. Downstairs is the kitchen and living area and upstairs are two bedrooms and two bathrooms. The whole house is furnished apart from your room. 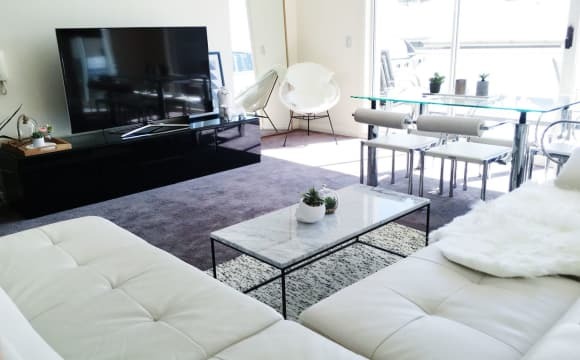 I am looking for a couple to rent the room who are ideally young professionals working full time. I want people who are very clean and tidy in the common areas of the house and will pay all bills on time. I want to respect each others space but also share the occasional housemate dinner and be able to enjoy each others company and have fun. I am not commencing the lease until the 27th of April so unfortunately I can't show the house until then. I am looking to show people around on the 27th and 28th of April and have someone move in by the 5th of May.